Hi friends! So I started taking something back when I was in the height of my injury recovery, and it had a surprising side effect. 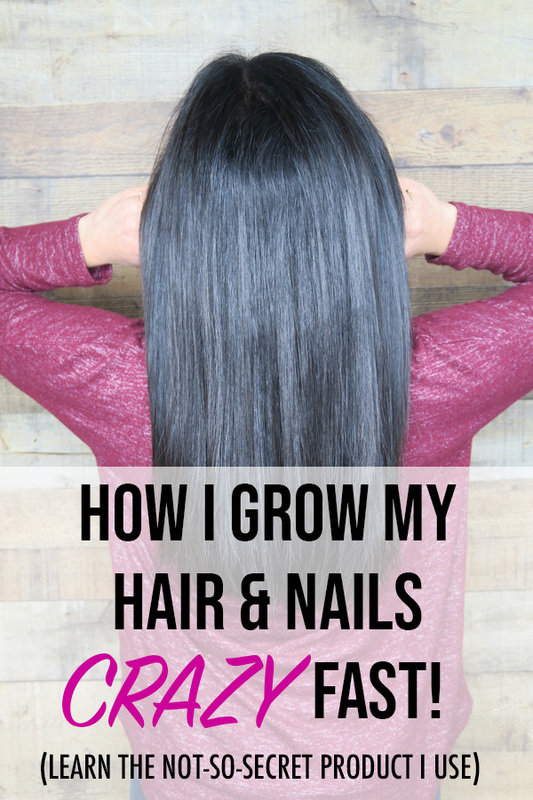 It made my hair and nails grow CRAZY fast! It was totally unexpected, but it came at a good time since I was in the process of growing my hair out and really helped me with that process. Plus it only took an extra 60 seconds a day and in the form of a natural product. Woop! This is totally going to be one of those experience over science posts since I thought it would be fun to share my personal experience. Disclaimer: As always, you should consult your health care professional before changing your diet. I used to think these messages were BS until I found out that spinach is dangerous for some people. So yea, I never want to recommend something that may negatively impact you. But we’re all so different, there’s no way I could know what’s best for you. I’m just sharing this information as an input for your decision making about your health. Note: This post contains affiliate links. If you make a purchase using one of these links, I may make a small commission at no extra charge to you. Feel free to reach out with any questions. What’s the Not-So-Secret Product for Fast Hair (and Nail) Growth? That’s right. I’m sure you’ve seen this all over the blogosphere as it’s super trendy right now (and has been for awhile now). I first started taking this in a desperate attempt to heal my back. I’m not sure if it helped or not, but I’d heard so much about how great this stuff was, I was glad to try it in general. Vital Proteins has a great article about How to Get Healthy, Strong Hair. Collagen give elasticity, strength and flexibility to the connective tissues, including the hair. As we age, our collagen production decreases naturally. One of the best ways to support collagen production is to ingest the right nutrients. Vital Proteins Collagen Peptides and Vital Proteins Marine Collagen contain 100 percent sustainably sourced, ethically raised collagen peptides. One study found that 90 percent of collagen peptides are digested and easily absorbed by the body when taken orally (1). This is a fantastic way to promote healthy hair, regardless of which hair issue you are experiencing. For me, I took about half of the recommended serving, and I stirred it into my morning coffee. It melted almost instantly, so I found it super easy to have daily. I also had success adding it to smoothies and smoothie bowls. Hungry? Click here for my smoothie and smoothie bowl recipes. In both of the above I couldn’t taste it at all. The packaging suggested collagen peptides could be stirred into water, and I tried this one day. It. Was. Awful. Personally, I wouldn’t recommend this. Blech. For me, I saw results pretty quickly. Maybe within a week or two. You can get collagen peptides almost anywhere. After my scare of purchasing a (probably) fake Clarisonic online, I’m very careful about where I shop online. Especially for food products! When I want it in person, I look for it at Whole Foods. From online, you can buy it direct from the retailer, Vital Proteins. This would be a good option if you want to explore their other product options. As of the posting of this, there is free shipping in the US. I’ve found most other retailers only have a limited selection of these products with a focus on the super popular options. Personally, if I wanted to buy collagen peptides online, I’d get them from Target. I love their free 2 day shipping, so it’s easy to add this to the cart when I’m getting other household items. And at the moment, collagen peptides are on sale here. Woohoo! 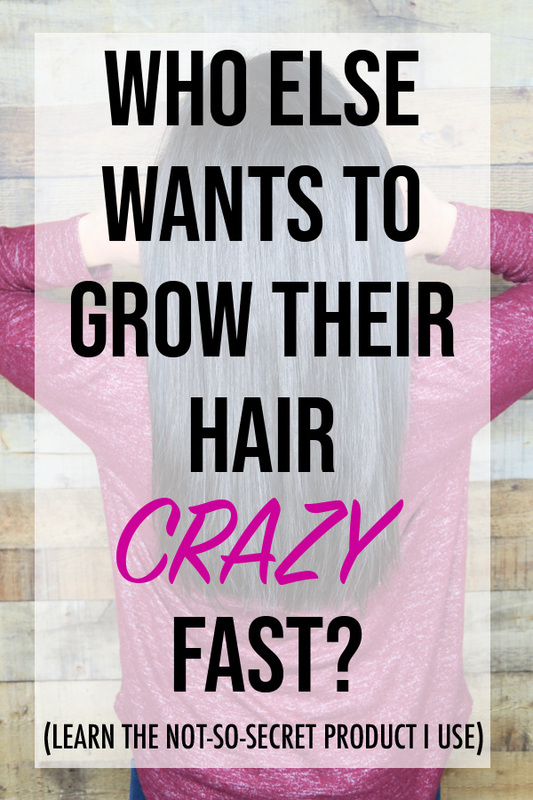 Thank you so much for reading this post about growing your hair and nails crazy fast! I’m not currently taking collagen peptides on the regular, but I do like to add it to my coffee and smoothies here are there. My hair is pretty long at the moment, my back is feeling pretty normal, and I like to think that my diet is health enough that I’m getting most of my nutrition through food sources, which is what I prefer anyway. I usually use supplements more for health boosts rather than relying on them heavily. Have you taken collagen peptides? Did you notice any similar results or other/different results? Share your results in a comment below.